It’s a big week for Blu-ray. The long awaited Ultimate Matrix Collection (previously available on HD DVD) and the recent box office hit Indiana Jones and the Kingdom of the Crystal Skull are just a couple of the highly anticipated Blu-ray releases today. Other new BD titles include 90’s classic Casino and soon-to-be-classic American Gangster (both previously released on HD DVD.) Steven Spielberg’s Poltergeist, never before released in hi-def is just in time for Halloween. 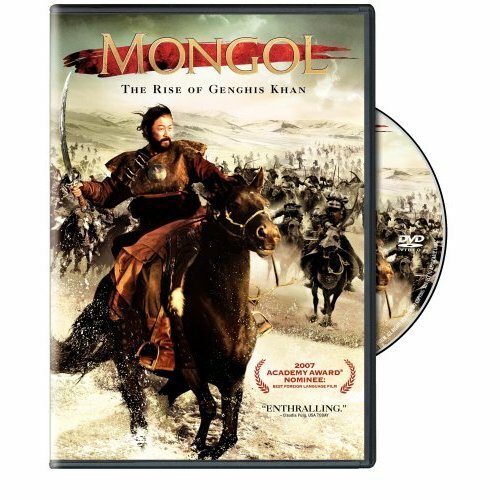 My pick of the week is Mongol: The Rise of Genghis Khan which promises to be as visually stunning on Blu-ray as Frank Miller’s 300. It starts by following young Mongol Temudjin who later becomes the feared conqueror Genghis Khan. The film takes you to remote places in Mongolia, Kazakhstan and Russia and is filled with hyper-realistic battle effects. This is part one of a planned trilogy by Russian filmmaker Sergei Bodrov. There are quite a few more mentionable releases not on the list below that fall into the “Documentary” or “Special Interest” category. Some of those titles now on Blu-ray include: Space Station/Mission to Mir Imax; Coral Reef Adventure with Jean-Michael Cousteau and Liam Neeso; and Living Sea narrated by Meryl Streep. Here are the Blu-ray Disc releases for today along with the suggested retail and current price* on Amazon.com. *Please note the prices were grabbed at the creation of this article and are subject to change. What is the difference between the HD DVD release and Blu-ray. Any added features?